The NCW aimed to ‘unite all organised societies of women for mutual counsel and co-operation in the attainment of justice and freedom for women, and for all that made for the good of humanity; to encourage the formation of societies of women engaged in trades, professions, and in social and political work; and to affiliate with other national councils of women for the purpose of facilitating international Conferences and co-operation’. The NCW’s first office holders were heavyweights of the suffrage movement: Kate Sheppard was the president, Marion Hatton, Annie Schnackenberg, Margaret Sievwright and Anna Stout were vice-presidents, Ada Wells was the secretary, and Wilhelmina Sherriff Bain was the treasurer. 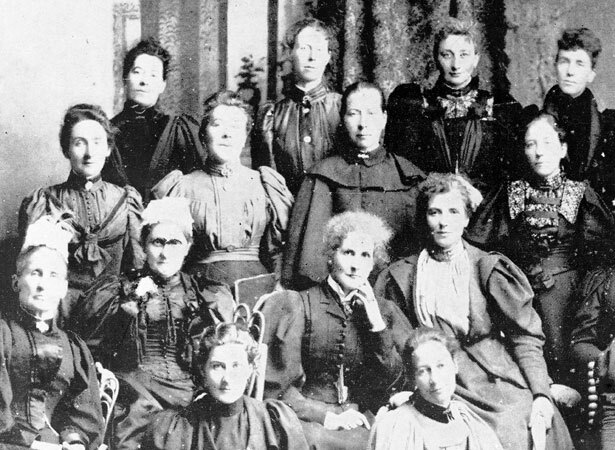 In the 21st century, the NCW still works in the interests of women, but today it is a very different organisation from the one established in 1896. We have 12 biographies, 3 articles, related to National Council of Women formed .